The stabilizers are designed for roll reduction, when ship is going ahead. 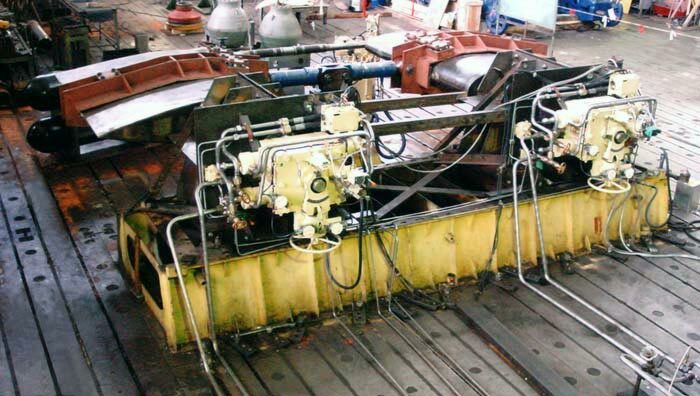 The stabilizers make better mechanisms, devices and other equipment operation conditions, increase efficiency of special devices as well as livability for a crew. The stabilizers can be installed aboard ocean-going ships of various purposes. The stabilizers ensure the specified efficiency of roll reduction within the range of ahead speeds from 5 to 32 knots. The stabilizer operates automatically in a watch-free space, requiring only periodic inspection and lubrication of friction units. control system automatically generating the control algorithm, so that hydrodynamic lifting forces generated at fins create restoring moment which is directed against rolling moment caused by external forces at any instant of time. Up-to-date automatic digital control system of "Dolomit" type allows to change the control algorithms flexibly increasing efficiency of the stabilizer operation at all ship speeds and variable ambient conditions.